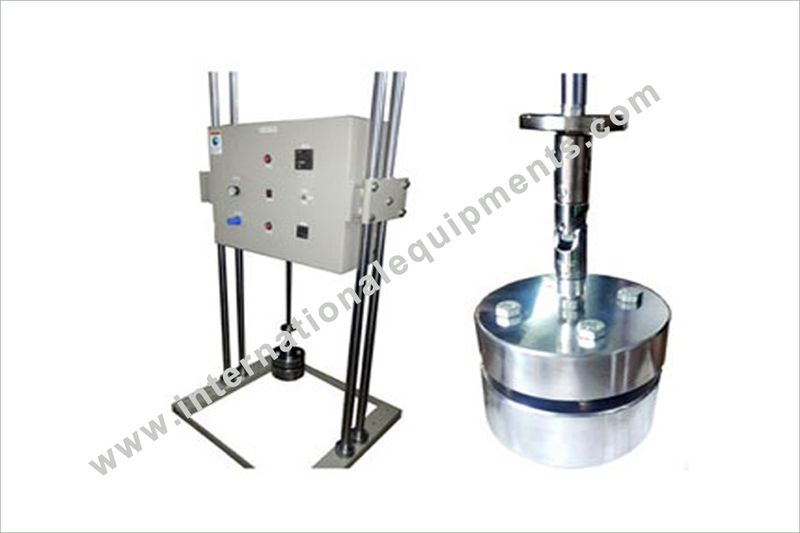 “Seat Impact tester” is designed by International Equipments on the basis of specifications issued by the Plastic Chair manufacturers in India. This test is mainly conducted on the sitting surface of plastics moulded chairs. Cyclic endurance type of test where continuous one after the other hammering impacts are given on the Seat surface with approximate force around 150 kilograms and checked whether any crack is developed due to such jerking impacts. In case of second test a constant force is generated by the Impacter on the surface of the chair and this constant force is maintained with respect to time say for example 125 kg constant static force applied for 24 hours on the surface of the chair and thus leg spreading or crack and failure is observed. Thus Design of impacter, weight and dimensions of impacter as well as the parameters such as number of impacting counts, hours/minutes of impact holding duration etc are settable and vary customer to customer as required.